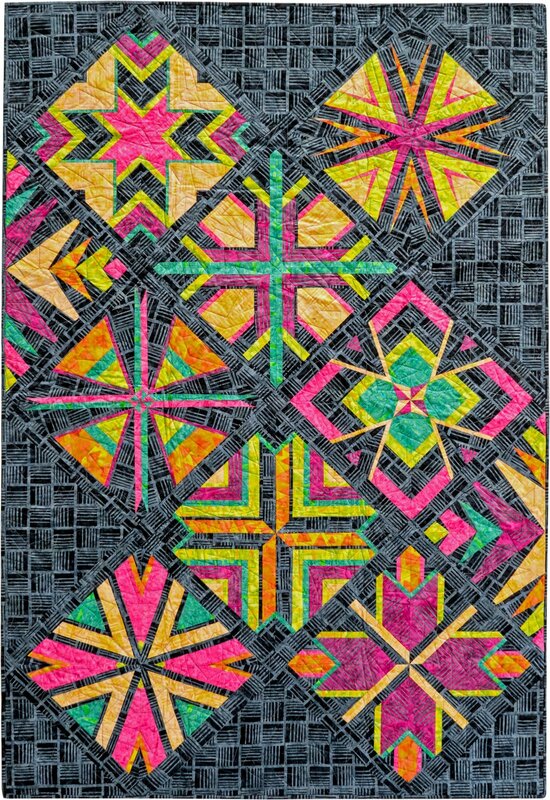 Elementz is a nine block quilt, offered as a Block of the Month. It is packaged as a single pattern (you will get all 9 blocks and finishing instructions in one package). It is paper pieced, but is easier than it looks! Quilt measures 48" x 70".